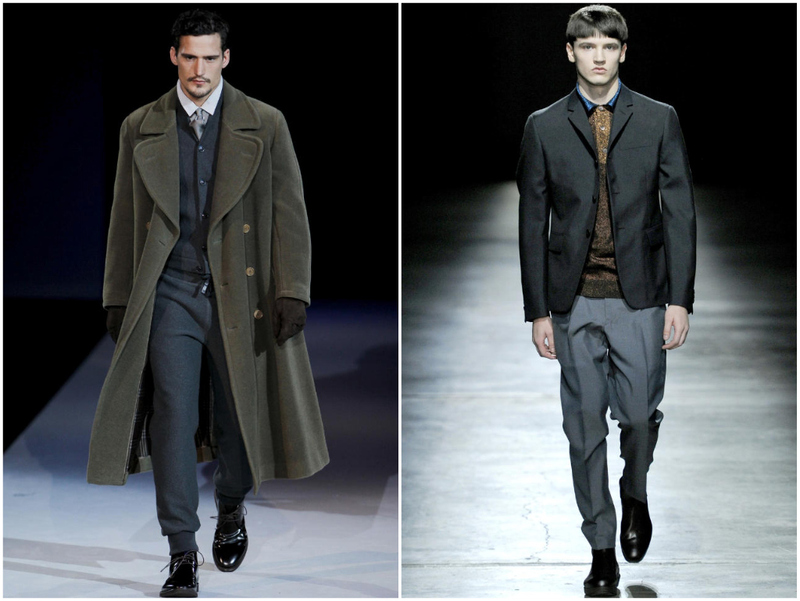 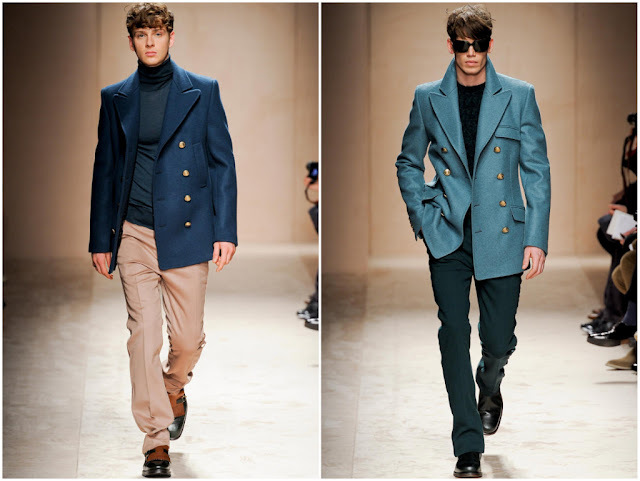 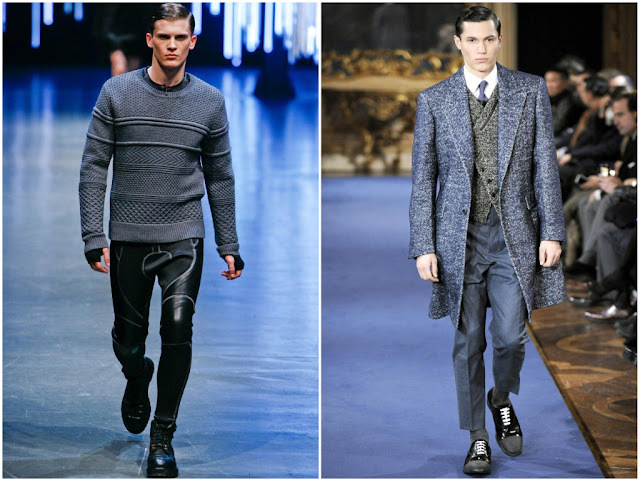 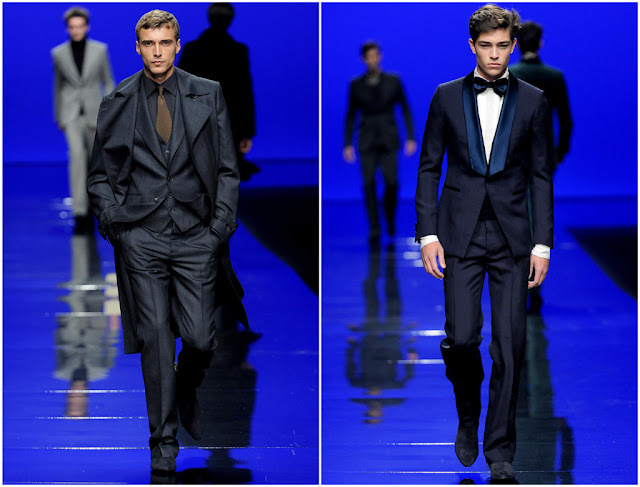 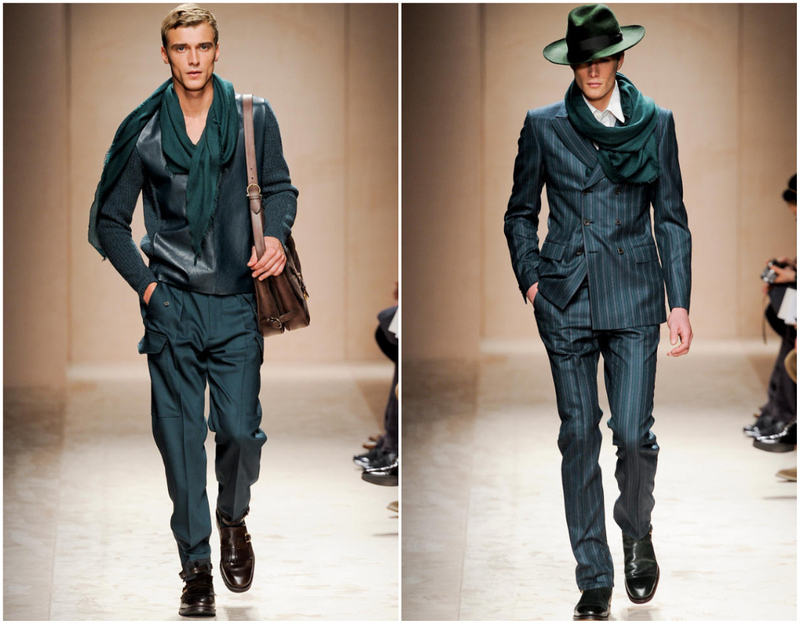 As you may have noticed, I posted several looks by Salvatore Ferragamo and Zegna, who I think have done the best job for this years fall fashion edition in Milan. 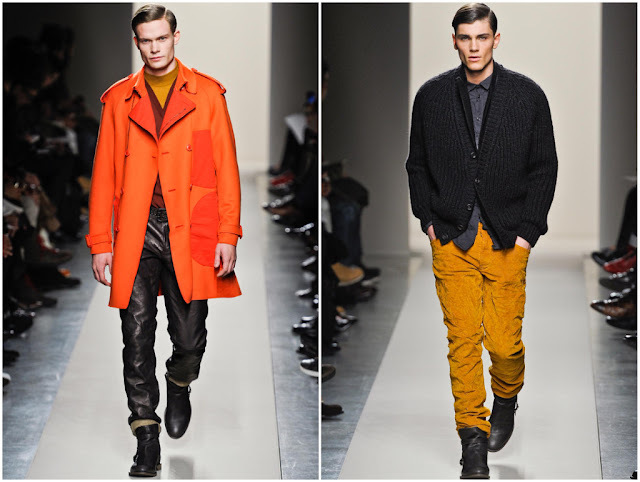 I love the vivid colours, the choice of materials and obviously the cuts. 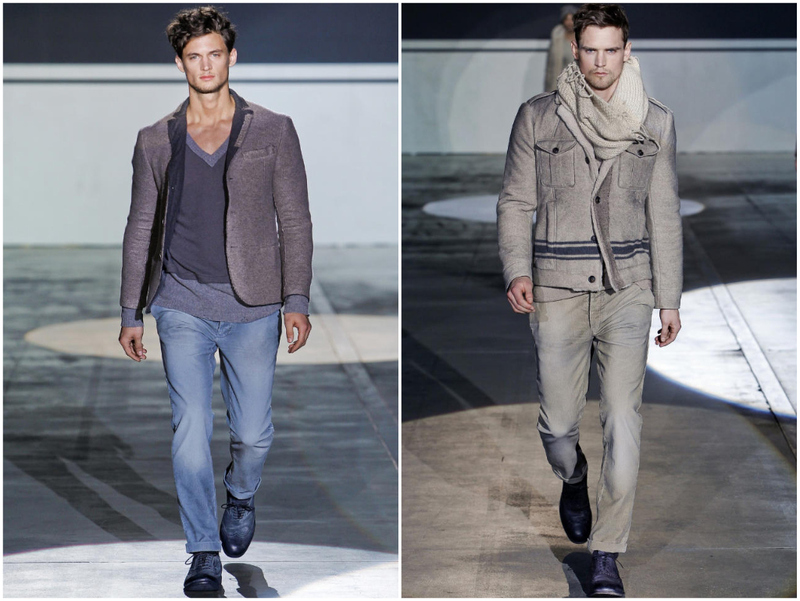 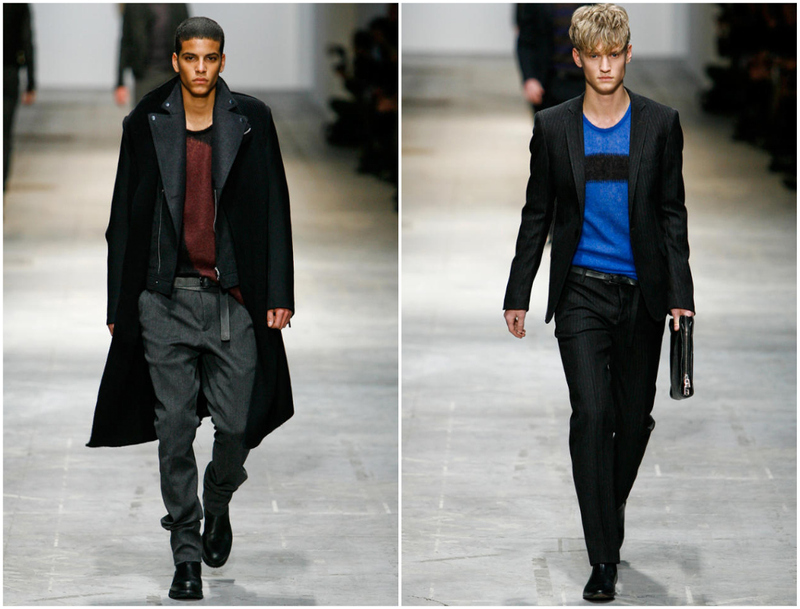 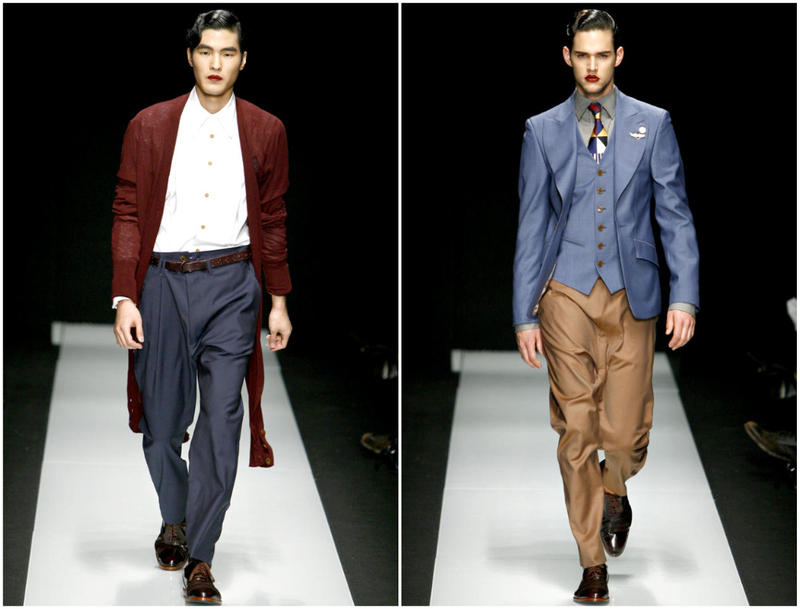 Those Ferragamo jackets are simply amazing. 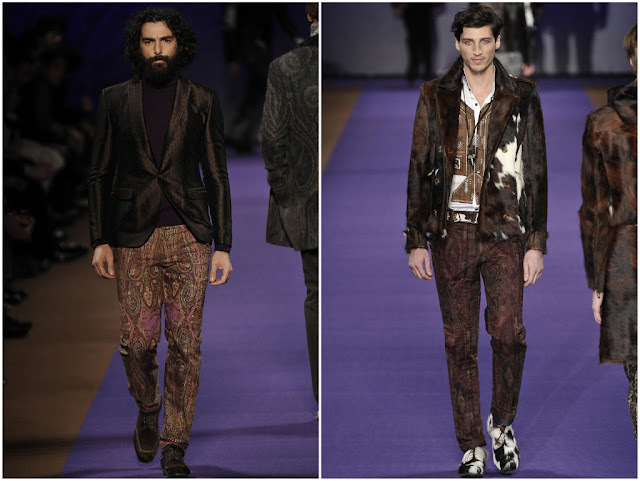 In addition, I thoroughly enjoyed Roberto Cavalli''s and Dolce & Gabbana's collection, who - in my opinion - embodyed the "Italian Gentleman" in a perfect way. 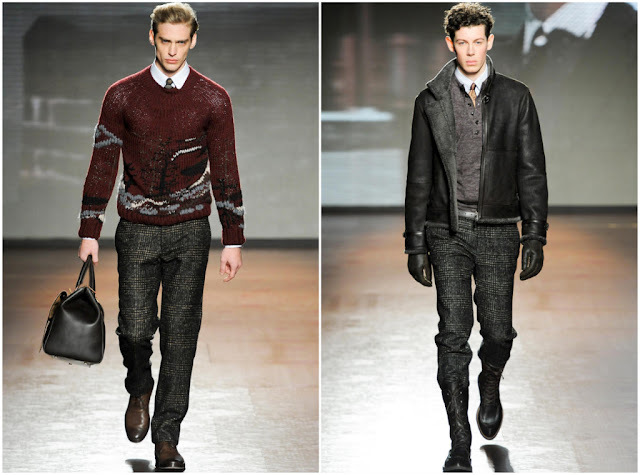 On the contrary, some of my favorite labels, e.g. Prada's collection have completely disappointed me. 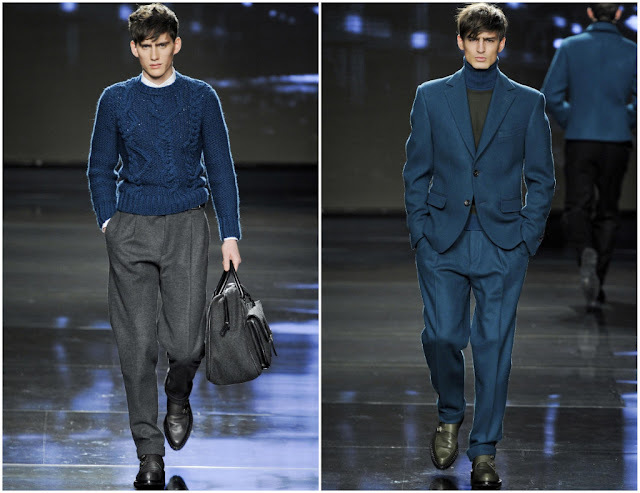 Apart from that one look I posted, I personally think that Prada hasn't been able to transmit any warmth, class or excitement throughout most parts of their collection. 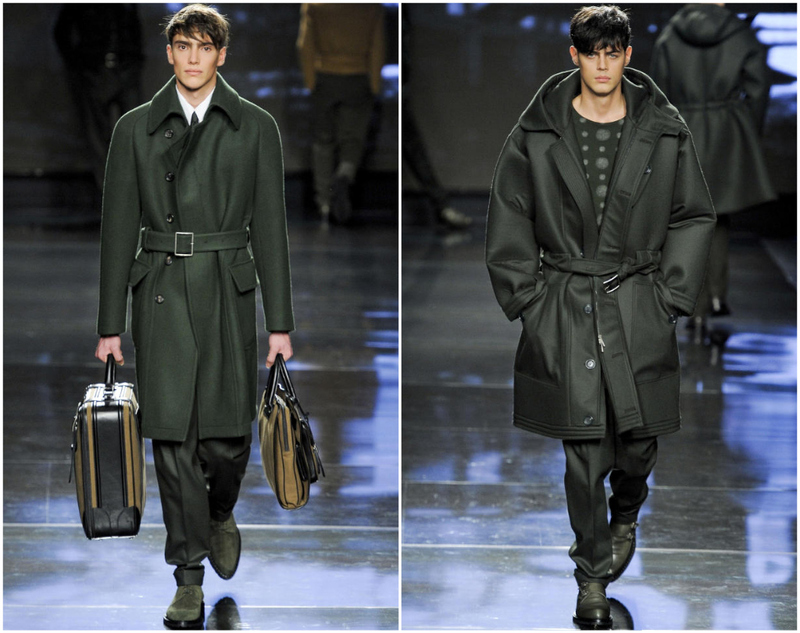 You can check out Prada's entire collection here. 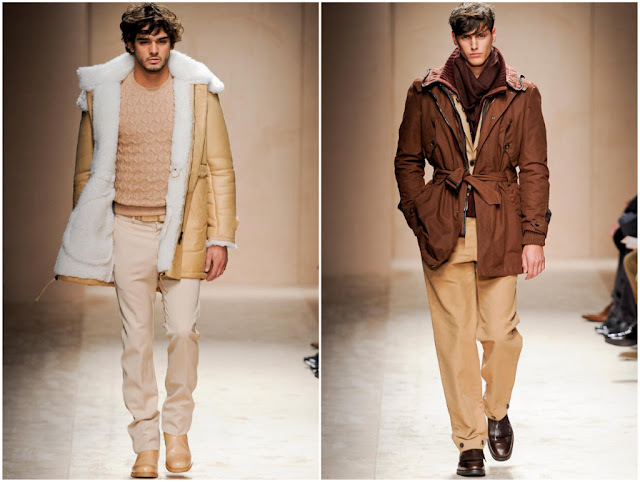 All in all, I haven't been excessively overwhelmed by the fall collections of our favorite Italian labels. But I can see that there is a strong trend back to oversized trousers and bright colours, which I gratefully welcome. Considering Ferragamo's and most of the other label's collections, I can see it's going back to masculinity and away from metrosexuality. 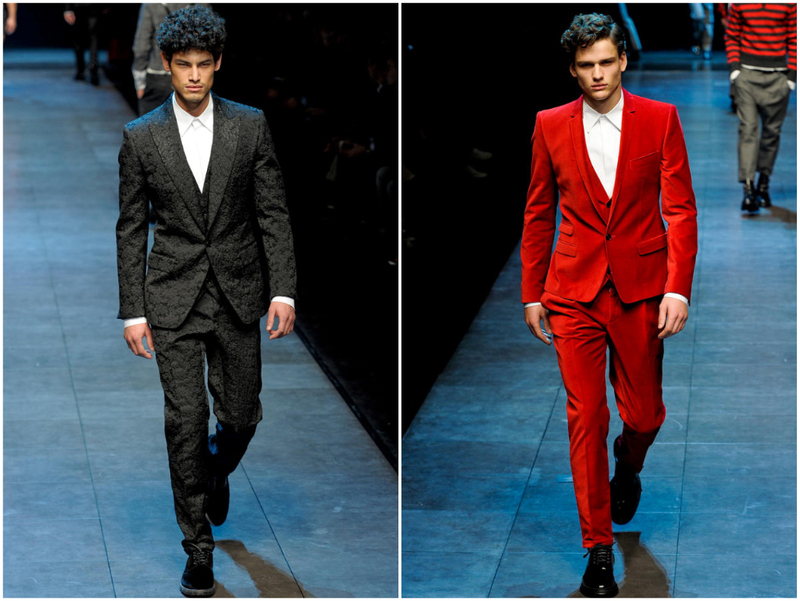 Thank god. 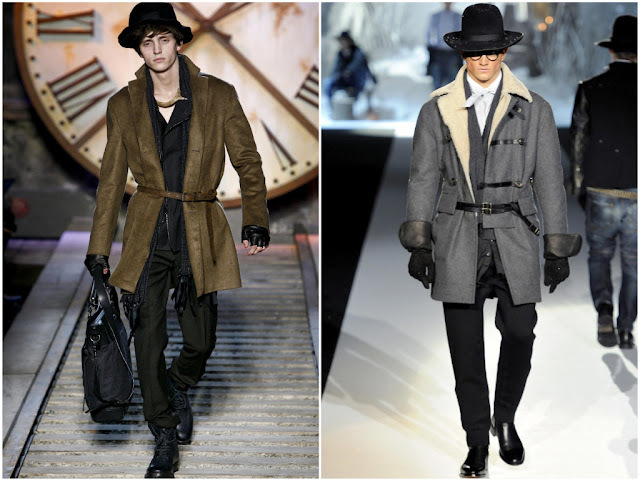 So please, dear readers, tell me what you think.